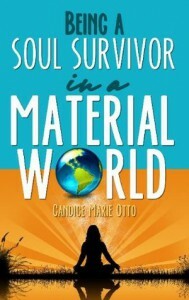 'Being a Soul Survivor in a Material World' is a thorough look into the spiritual side of our materialistic world, and how to connect with the invisible forces that are important factors in our lives. Candice Otto brings us along in her search for the true meaning behind life, dabbing in a bit of everything from religion to witchcraft. After having endured the hardships of losing loved ones and poverty, she shows us through her experiences how there is always a silver lining, and how our connection to the greater energy that is God shapes our lives. By fine-tuning our energy to the positive, we can live happier lives while staying close to the Creator, and deter from projecting ourselves onto others in ways that result in negative consequences. I found this book to be truly fascinating and thought-provoking. If you want to tune into your spiritual side, this book will set your perspective on the right path. I really enjoyed all the inspirational quotes to be found in here as well. This is a great gift for anyone you know who is depressed and in need of a positive lift, or if you ever wondered if your luck and/or misfortunes are truly coincidences at all.